Dr. Asim Bag graduated the medical school from the Medical College and Hospital Kolkata and completed his residency program at the University of Alabama Medical Center. 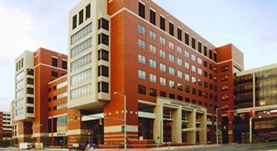 Two fellowships followed at the University of Alabama Medical Center: one in vascular and interventional radiology and one in neuroradiology. Dr. Bag is specialized in radiology and board certified in neuroradiology, and diagnostic radiology. He has been in practice for more than 11 years and is affiliated with the University of Alabama Hospital. During his career, he has also published several writings of medical interest in partnership with other doctors. Dr. Asim Bag has contributed to 3 publications. All You Need to Know as an Authorized User. Baldwin, J. A.,Bag, A. K.,White, S. L.,Palot-Manzil, F. F.,O'Malley, J. P.; AJR Am J Roentgenol. 2015 Jul 24. Prolonged treatment with bevacizumab is associated with brain atrophy: a pilot study in patients with high-grade gliomas. Bag, A. K.,Kim, H.,Gao, Y.,Bolding, M.,Warren, P. P.,Fathallah-Shaykh, H. M.,Gurler, D.,Markert, J. M.,Fiveash, J.,Beasley, T. M.,Khawaja, A.,Friedman, G. K.,Chapman, ...; J. Neurooncol.. 2015 Feb 26. Neurodegeneration with Brain Iron Accumulation: Clinicoradiological Approach to Diagnosis. Amaral, L. L.,Gaddikeri, S.,Chapman, P. R.,Roy, R.,Gaddikeri, R. S.,Marussi, V. H.,Bag, A. K.; J Neuroimaging. 2014 Dec 30.